Mentor met Zuma's son on flight to China - SABC News - Breaking news, special reports, world, business, sport coverage of all South African current events. Africa's news leader. Vytjie Mentor is the third witness who is testifying at the Commission in Parktown. 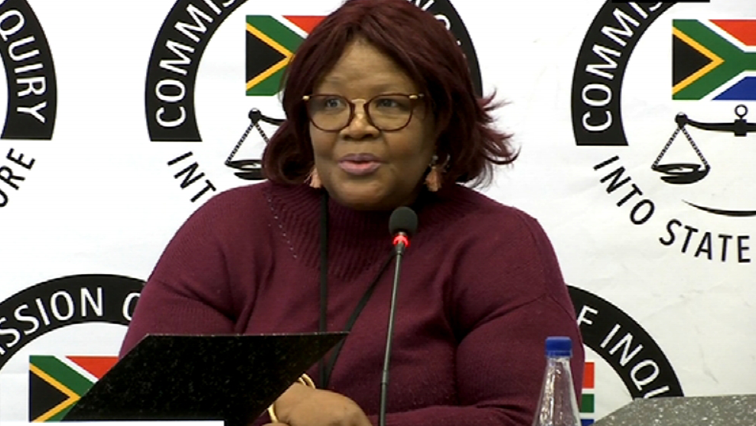 Former African National Congress (ANC) Member of Parliament Vytjie Mentor has shared with Deputy Chief Justice Raymond Zondo that she met former President Jacob Zuma’s son, Duduzane Zuma, while she was on a flight to China via Dubai. Mentor has explained to the Commission of Inquiry into State Capture how Duduzane knocked on her cubicle door on the first class flight, introduced himself and complimented her on her sterling work in Parliament. Mentor is the third witness who is testifying at the Commission in Parktown, Johannesburg, and says she was travelling to China on a state visit funded by the Department of Trade and Industry. Mentor says Duduzane further introduced her to two Indian men who were also on the flight, and an African man who she says was controversial businessman Fana Hlongwane who Duduzane referred to as his chairman. Mentor has also pointed out an error in her book to the commission, where she referred to Fana Hlongwane as Brian Hlongwa. She told the Commission that she often confuses the two.